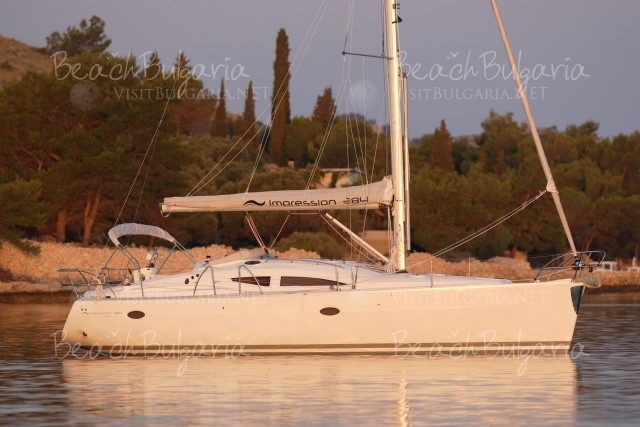 The Impression 384 offers a host of features that will be greatly valued by bluewater cruising families, friends or couples. 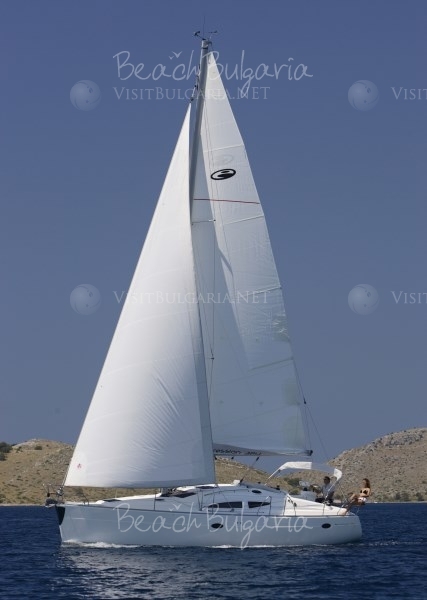 The boat is distinctive in design, style and comfort, with more than a 25% larger volume compared to boats of its size. 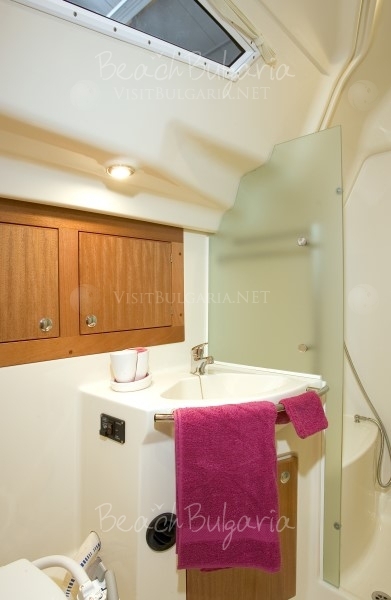 The spacious cabins, heads and showers are absolutely first-class, with stunning accommodations and plenty of storage. 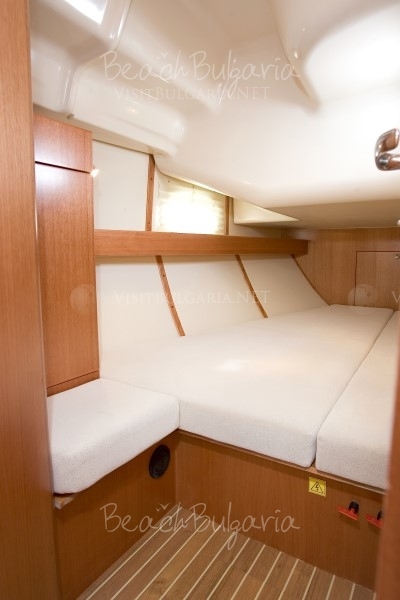 The semi-deck saloon offers supreme comfort with flowing space, a welcoming ambience, panoramic windows and its lightwood interior. 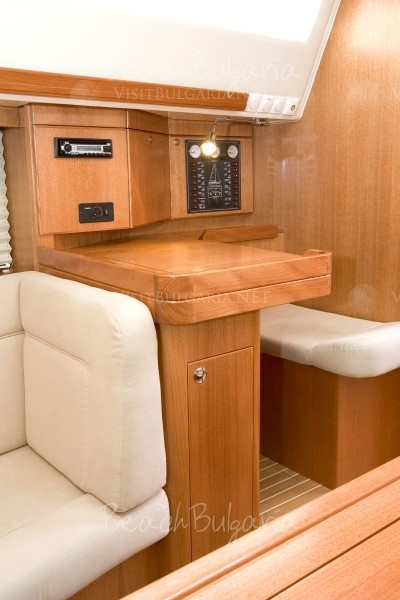 The comfortable cockpit leads down to a large swimming platform for days of relaxation, entertaining and pleasurable cruising. 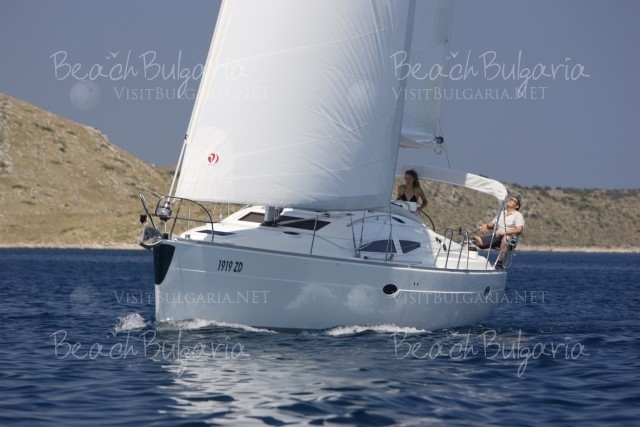 Exceptional seaworthiness in its class, well thought-out design, volume distribution and layout of deck and hardware all contribute to easy handling without compromising boat performance. 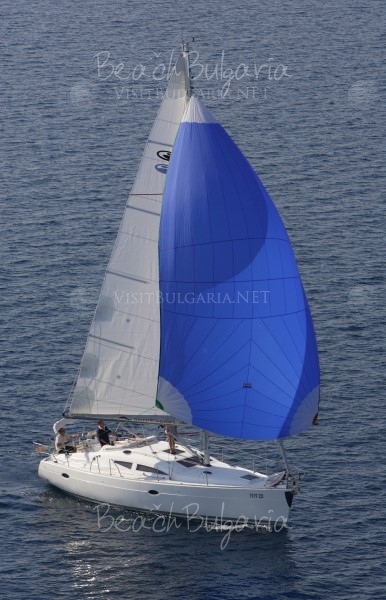 Its design pedigree is the best testament for serious, fast bluewater cruising. 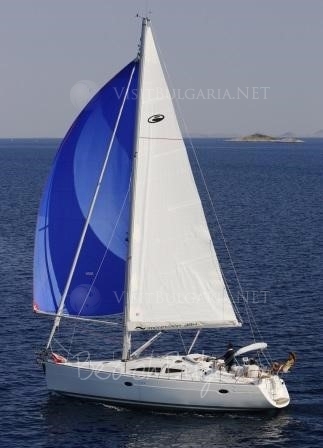 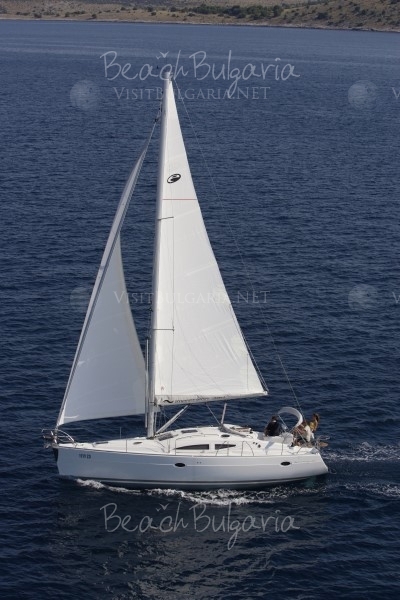 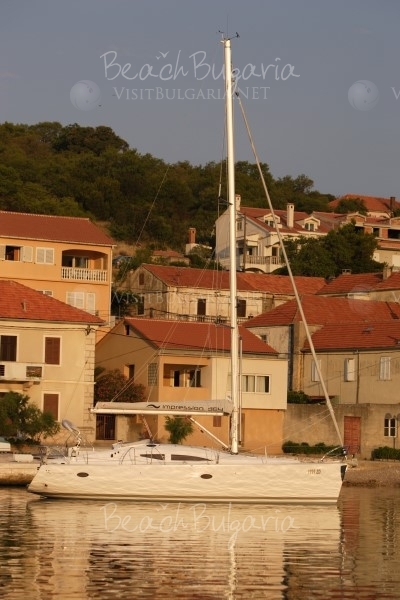 Skipper - 1000.00 Euro weekly/ 150.00 Euro daily, crew - 90.00 Euro daily; * Extras, special service, catering is also question of negotiation; * Fuel, food, drinks, tips, Trans log and mooring outside the domestic marina are not included. 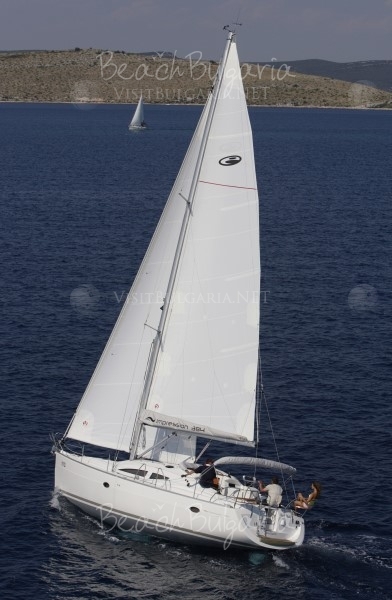 * 30% of the charter fee is payable upon booking, safety deposit is due cash on spot.